I have knocked on thousands of doors. I ran the #NoThanks campaign in Edinburgh South in 2014 – my team of over 100 volunteers knocked on the doors of over 2000 people in the final week of the campaign. After that I joined Labour and the campaign to get Ian Murray MP re-elected in 2015 – I was a key part of his team. In 2015 I also campaigned to get Councillor Marion Donaldson elected in the Leith Walk Ward (we took the seat from the Greens). In the 2016 Holyrood elections I was a key member of the campaign committees to get Daniel Johnson MSP (Edinburgh Southern) and Blair Heary (Edinburgh Pentlands) elected. I have learned a lot from these campaigns. I know how to develop a data driven campaign strategy, and also how to use social media. I know how to win. 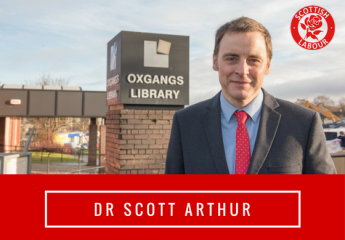 On the 5th of December I was selected as Labour’s candidate in the Colinton-Fairmilehead Ward in Edinburgh. This is a winnable Ward… if I work hard to win.